How long before our places of worship close down and internet "church"
is the cool thing to do? The times they are a' changin'. Sad! 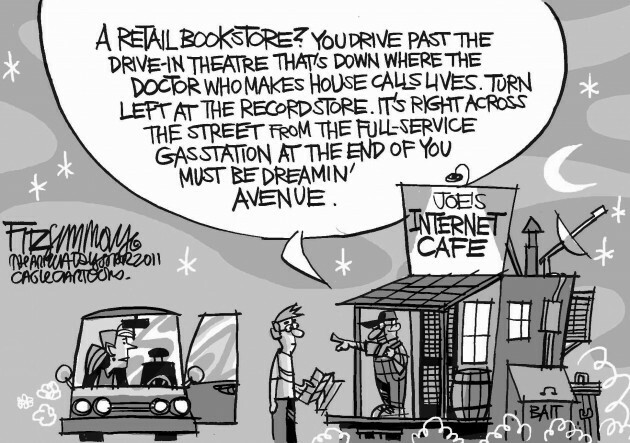 Click here for another "sad" story of bookstores dying. a difference. Don't be indifferent! Support them! PLEASE SUPPORT YOUR LOCAL CHRISTIAN BOOKSTORE. Thank you David for the reminder that we need to support our local Christian bookstore. We also have a used bookstore nearby that we like to frequent. These are valuable resources that we don't want to go away. In these days of on-line shopping that we can do at anytime, day or night, and get a great deal, unless we choose to support our local bookstore, they will go away before our very eyes.